Please Read the Following Carefully, As It Contains Very Important Information Regarding Upcoming Changes to The Way in Which Slope Passes Will Be Distributed on Saturday Mornings. 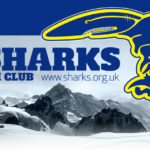 From Saturday 4th of February, you will no longer be able to obtain your SnoZone slope pass directly from us at Sharks Ski Club. You will need to pay for your pass at the SnoZone front desk. This is to bring the club in line with SnoZone requirements for the distribution of passes, and in keeping with processes for other Clubs. We anticipate that for the first few weeks there will be long queues at the check in desk, as skiers will need to be registered on SnoZone’s system. In order to preempt this SnoZone have given us a form to use to register with them before the start date of 4th February. You can download the Form HERE… or pick one up from us on Saturday Morning. by the 21st January 2017, in order to ensure enough time for SnoZone to prepopulate your details into their system. Another benefit of the new process going forward, is that you will be able to pre-book over the phone and use SnoZone self check in service. For the last few years we have not charged a formal subscription fee to ski at one of our sessions. We have retained the few pennies being the difference in what we charge you for a pass and what we pay to SnoZone. For example, currently a child pass costs £25.59, and an adult pass £29.59. We retain the 41p change (prior to the price increase in October 2016, this difference was 1p per pass). In order for the Club to sustain a high quality service, and to provide ongoing training to our volunteer instructor team as well as other member benefits, it is necessary to reintroduce a small Subscription fee per session provides the Club with a more sustainable future. I hope that this is all clear to everyone. Please feel free to approach any of the Sharks Committee Members for more information if you need it. On Behalf Sharks Ski Club.